Eugene O’Neill was the only American playwright to receive the Nobel Prize for Literature. It was at Tao House in Danville, California, where O’Neill wrote his greatest plays, including Long Day’s Journey Into Night and The Iceman Cometh. Dan McGovern is the co-founder, along with Sean Reidy, of the Eugene O’Neill International Festival of Theatre in New Ross, Ireland, the port from which O’Neill’s father James emigrated as a small boy. Also a Visiting Scholar in the theater department at the University of California, Berkeley, McGovern recently published “Eugene O’Neill’s Place in Irish Theater Today: Interviews with Irish Theater Scholars” in the Eugene O’Neill Society Review published by Pennsylvania State University Press. Eugene O’Neill is one of America’s greatest playwrights, but O’Neill’s Long Day’s Journey Into Night is “the great Irish play.” That’s what the great Irish playwright Frank McGuinness told McGovern last September, and it is the lens through which McGovern will examine the significance of Ireland for O’Neill and for his Long Day’s Journey, in particular. The Danville production of Long Day’s Journey Into Night will then travel to New Ross, Ireland, for the Eugene O’Neill festival there October 9th to 12th. Other productions at the New Ross O’Neill festival will include O’Neill’s Strange Interlude directed by Ben Barnes, former artistic director of the Abbey Theatre; Wexford playwright Billy Roche’s The Diary of Maynard Perdu; and O’Neill’s SS Glencairn one-act sea plays performed on the Dunbrody, a replica of a famine ship. Admission is $10, free for AIHS members. The American Irish Historical Society is located at 991 Fifth Avenue, New York. For more information or to purchase tickets, click here. 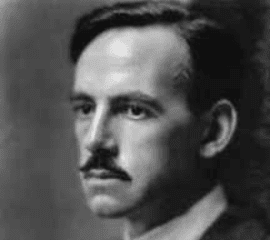 Portrait of Eugene O’Neill provided.